The Celtics edged out the Pelicans 104-97 Wednesday night at The Garden in a game that was closer than it should have been against a sub .500 team that was missing their best player (Anthony Davis). The Pelicans called a timeout and eventually a couple Jae Crowder free throws sealed the Celtics’ 104-97 win. An overall ugly game, but in the end they found a way to pull it out. That’s what good teams do. You really never know who’s going to step up in clutch situations for this squad. Isaiah Thomas, Evan Turner, and Avery Bradley have all hit plenty of huge fourth quarter shots this year. Jae Crowder has played incredible lock-down defense and come up with game-changing steals, as have Bradley and Marcus Smart. Jared Sullinger has given maximum effort on the boards and he’s had some crucial late-game put-backs and jumpers after Isaiah drives and kicks it out. Even Jonas Jerebko gets overlooked for his effort on the defensive end and on the boards down the stretch of games. A big tip-out offensive rebound is just as impactful as a big shot. 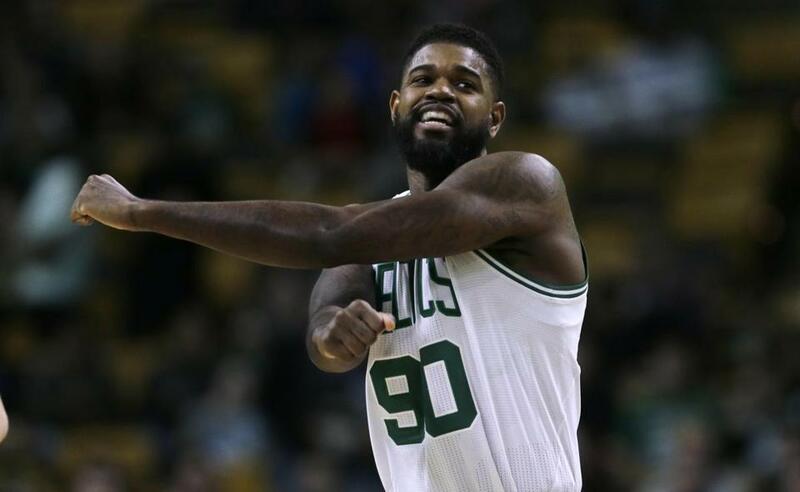 Tonight it was Amir Johnson with the play of the game. The depth and versatility on the Celtics team is real and it’s saved them on numerous occasions this season when things weren’t exactly going their way. It will be a key for them in the playoffs as they go up against team’s whose rosters are a little more top-heavy. With four games left until the post-season, the C’s now find themselves tied with the Atlanta Hawks for the three seed, a half game ahead of the Miami Heat who sit in fifth, and a game ahead of the Charlotte Hornets who are sixth. Their last three games are against the Hawks, Hornets, and Heat, so the end of the regular season is shaping up to be quite a thrill ride.